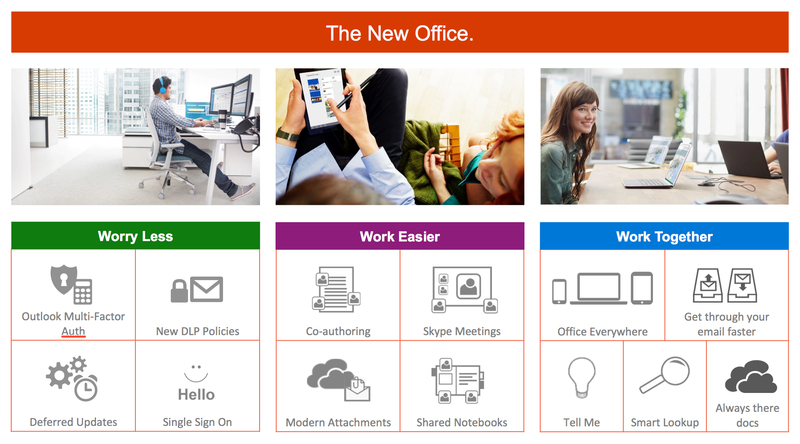 Microsoft Office 365 is the Best-In-Class Productivity platform for the Modern workplace. The way we work together within organizations and with our customers and partners has changed. If you are trying to serve your customers while protecting your business and keeping ahead of the competition, you are looking at the perfect productivity platform. When we think about productivity and how to provide the best solution for you. There are three core principles that we and Microsoft consider when looking at Office 365. These are the same core principles that we will use to help define success as your organization adopts Office 365. We kick off this initiative with a strategy to improvement for the applications identified for migrating to the cloud. Identify which applications , conduct an assessment and come up with a strategy/roadmap. As we identify which applications need to be migrated, we conduct application validation and integrations with external applications (if needed). Change Management and Training is a critical piece to a successful deployment. Our team will work with you and your stakeholders to come up with the right change management strategy and Training.